Mobile Apps have been driven by the iPhone and these apps in turn are now driving the success of the mobile web. You name it and there is an app for it. There are 2 basic types of Apps, native and web based, both have their own advantages, native apps will live on the phone and web based apps are just that, based on the web. Knowing which to develop will depend on how you want to interact with the user, if you have decided on an anytime anywhere app where connection to the Internet is not vital, then a native app will be the most suitable, if your app will continually need to connect to the Internet, then a web based app might prove the best choice. There are a number of development kits that that make life a little easier when developing mobile applications, AppMobi is an open source tool and is regarded by most as the most accessible and inexpensive way to develop an App. 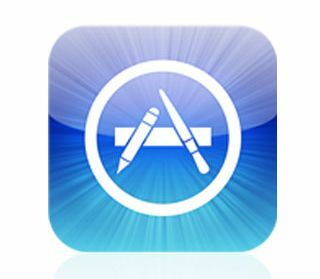 With the average iPhone user downloading 47 apps on their phone there is a lot of real estate available on each iPhone. Knowing the types of App that will prove the most successful is a different question. There are a number of native apps that consistently prove the most popular, surprisingly weather apps lead the way closely followed by Maps and Social media. News, Search, sports information and entertainment will always prove to be a popular choice of App. The biggest mover on the list however has proven to be Social Media Apps with a 240% increase in uptake in the last year. Now looking at web-based apps, there is no surprise here with Search being; by far the most successful being closely followed by Social media and then news, after these there is a big drop down to sports, movie info and the online banking. What will make your App a success? Make it usable and functional, there is a reason why weather and map apps have proven so popular, they offer the user constantly updated and relevant information. Developing an app that will consistently provide the user with up to date information will ensure that your app will stay on the users phone and will see continued use throughout its life. Social is where it’s at, if you can develop an app that keeps people connected then you are on to a winner. Make it available on as many platforms as possible, though the iPhone remains the most popular, there is considerable growth with Android phones, and the recent release of Blackberries API it’s inevitable we will see a huge uptake in the apps for these handhelds, with tweaking, your app can become available across a wide variety of platforms. Promote your apps, use mobile media to get the word out, if you can spread the word on the social networks, downloads will increase dramatically, also offering a free light version to help give users an idea of what your app is capable of will also ensure you will see an uptake in downloads. Apps are the way of the future, with reports suggesting that smartphones will outsell Pc’s within the next 2 years, apps are proving a useful tool for many retailers and ecommerce sites, they see these as a way to test the waters before they dive head first into the mobile world. Over the next 2 years the mobile world will only get more crowded if you decide an app is the way to go, jump in now and get ahead of the game. Guest post by: Neil is a tech writer and an avid lover of everything mobile; he is currently plying his trade as head of marketing for eMobileScan who are one of the UK’s leading Handheld Computers specialists including the range Motorola MC70 rugged handhelds. Tell ya what, for functionality, the basic Google Maps App is worth the price (FREE) for sure. Yep, I wish I could do it by myself, but actually I find most of apps quite useless…. I think it boils down to usefulness to determine an app popularity. Weather and maps are important if you are constantly on the go. The same goes to social media if you are a web addict. Nice post, Neil. I think an app is successful if it responds a need of the customers, is accessible as price and easy to use.